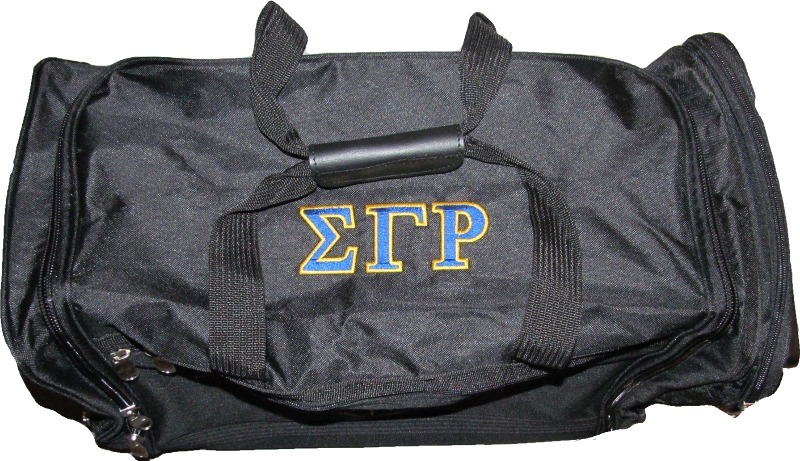 Your organization shield and name is embroidered on the front pocket, and your letters are embroidered boldly on the top of the bag. Each bag measures 30" Wide x 14" High x 12" Deep. So much space! These bags are great for long trips! Upgrade your duffel to a cosmetic duffel, where the entire front panel of the duffel UNZIPS to reveal two full cosmetic/jewelry pockets inside the bag. Lay it on your bed, that cosmetic part fold open and lays out so you can see easily what you need to take out.